Dowsing Archaeological Features - Cressing Temple Excavations and services. An empirical study at Cressing Temple, Witham, Essex. 2b. 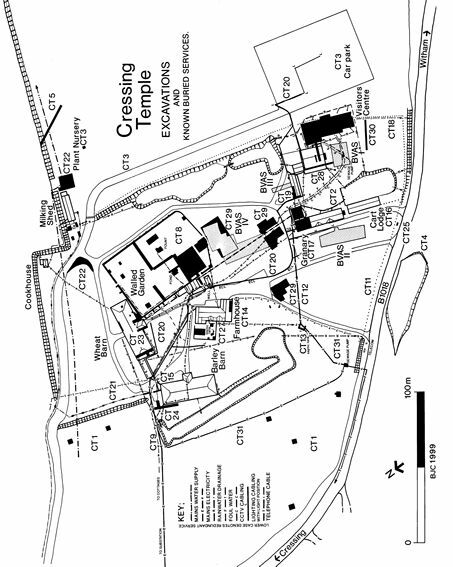 The layout of Cressing Temple in 1999 with the positions of the known services and archaeological excavations. Barry Hillman-Crouch. MSt PA, Dip FA, BSc, HND. Written 1999 Published on the web June 2005.